With this extension, the admin can update the group prices of more than one SKU/item at the same time for various customer groups. 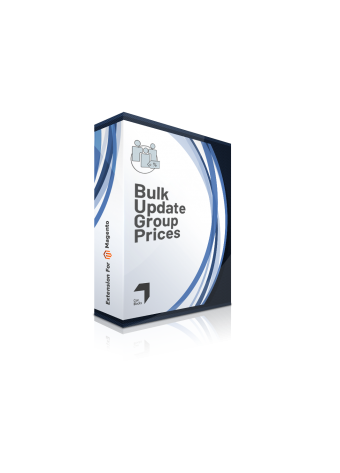 The Bulk Update Group Prices extension will save the time and effort that goes into updating group prices manually. This is possible because the extension allows the admin to update group prices of all selected products, for distinct customer groups simultaneously. 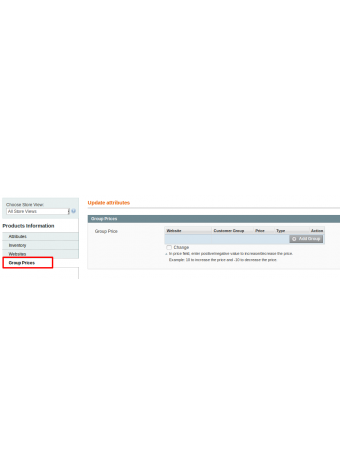 Further, this extension does not add any interface as it can be operated via the ‘update attributes’ option on Magento. 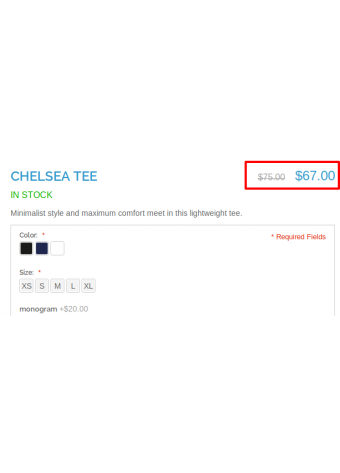 The store admins who deal with more than one customer group, often need to change the group prices of multiple products listed on their website. For example, to provide a discount to the customer group of wholesalers on a certain range of products, or to increase the price of some products for visitors who are not logged in. 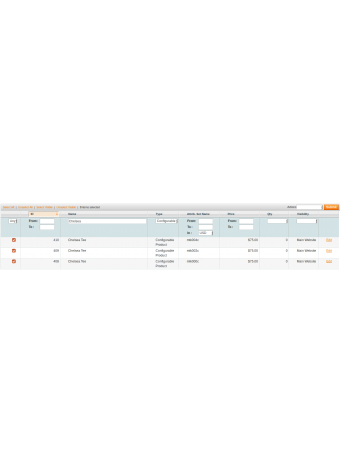 This is a tedious task in the default Magento settings, as the group price of each product will have to be changed separately. 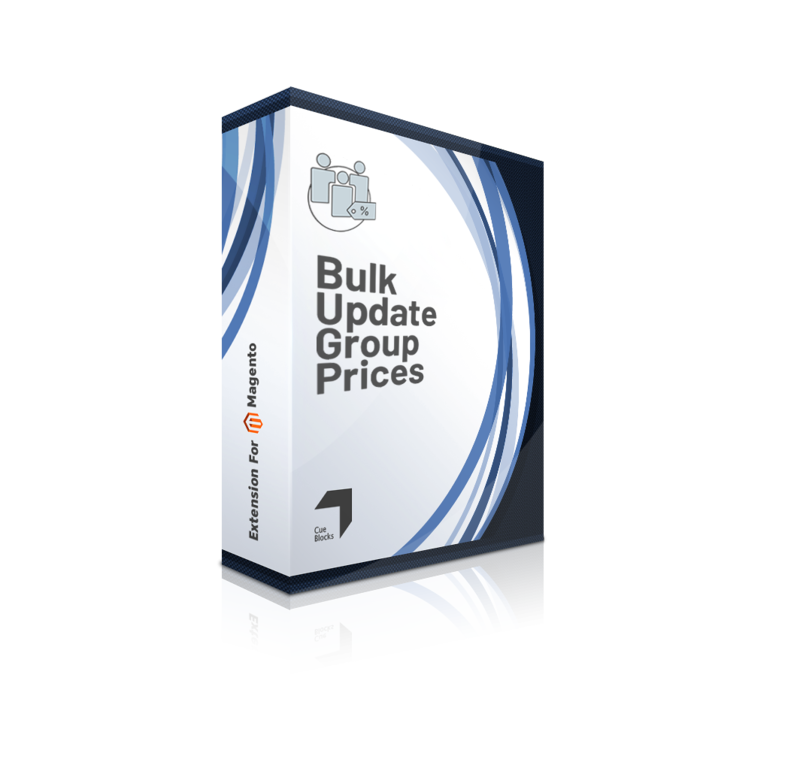 The Bulk Update Group Prices extension fills this gap in service by providing a means to alter the group prices of multiple products at the same time! The extension is compatible with multiple websites and works on Magento 1.x CE and EE versions. The group pricing can both be increased or decreased in terms of percentage or a fixed amount. You may choose to apply the changes to particular websites or on all of them. 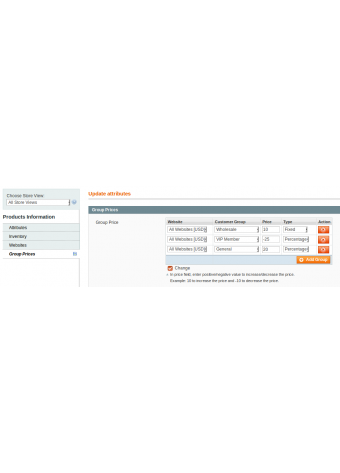 Allows the admin to modify group prices of selected products simultaneously. The Group pricing can both be increased or decreased. The alteration of price can be done in terms of percentage as well as a fixed amount. Admin can choose to apply price modification to particular websites or all of them. This works for all types of products. The extension is compatible with multiple websites and works on Magento 1.x CE and EE versions. The group pricing must already be set for this extension to be effective.